Through Rwanda Development Board in partnership with the Rwanda Embassy in China set to promote investment and tourism in China as a strategy to promote tourism and travel sectors in the country. Rwanda being a small country but hugely blessed with nature, tourism is one of the most prioritized industries contributing more than 10% to the country’s GDP. With all its misty mountains, beautiful lakes, kind people and other stunning features, the land of a thousand hills has not been fully exploited. Several strategies to promote Rwanda’s tourism have been put in place. 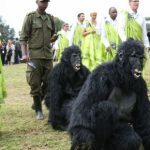 The Kwita Izina gorilla naming ceremony to attract more travelers to the country. The rise of the gorilla permit fees from 750 USD to 1500 USD was also a strategy to turn Rwanda into a world’s luxury destination. In addition to those, Rwanda set to promote investment and tourism in China. The embassy of Rwanda in China was to hold the “Rwanda week in China” from the 1st to 8th of September and the events to happen were anticipated to bring together several business people and tourism companies from both Rwanda and China. The week involved holding road shows in three major cities of Beijing, Shanghai and Shenzhen and visits to manufacturing facilities and industrial parks around China. During all these activities, the Rwanda Tourism Department was marketing and promoting Rwanda as one of the best destinations in Africa that any adventurous traveler would wish to visit without regrets as well as the most appropriate place to do business in Africa. The Rwanda week happened just a few weeks after President Xi Jinping successfully visited Rwanda and said that: “Under the leadership of President Kagame, Rwanda has embarked on a path of development suited to its realities, achieved long-term social stability and fast economic growth, and is enjoying increasing influence in the region and beyond”. Remember that Rwanda was ranked the second easiest place in Africa to do business in the “Doing Business Report 2018” by the World Bank. Still Rwanda was listed among the 18 best places to visit in 2018. The tourism sector in Rwanda continues to be the largest foreign exchange earner to the country. And with the exceptional hospitality given to visitors, Rwanda will continuously bring in more tourists to explore her endless treasures. This strong bilateral cooperation between Rwanda and China is leveraged on to attracting both more tourists and investors as well as spur the country’s working relations in the future with China. The small country positioned in central Africa is also dubbed the “Land of a thousand hills”because of the numerous volcanoes that cover almost 30% of its total land area. Rwanda boasts of several tourist attractions ranging from Volcanoes national park, Akagera national park, Nyungwe national park, museums, Lake Kivu, bird watching, canopy walks, genocide memorial sites and culture, among others. Rwanda is surely one country that can never fail any traveler on a safari in Rwanda. With the experienced tour operators available to take you to the different destinations, travelers have had lifetime experiences in this small country. It’s high time you started planning your trip in Rwanda. 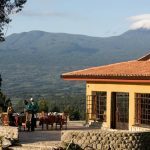 How Rwanda Earns $438m from Tourism?